I am happy to announce our plans to further strengthen ASHP’s government relations activities in Congress, federal agencies, the White House, and the states. Further, to enhance our advocacy initiatives and communications regarding our government relations efforts. To that extent, we have made some important strategic changes to ASHP’s government relations area. First, we have added a Vice President of Government Relations to our Senior Leadership Team who will also complement our exceptional Government Relations staff. We announced last week that we have hired Tom Kraus, M.H.S., J.D., as ASHP’s new Vice President of the Government Relations Office. Tom is a leader with incredible experience. He has a sincere passion for improving the health and well-being of patients, and he understands that pharmacists play a critical role as patient care providers — and can do even more. 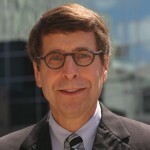 Tom is a former Food and Drug Administration (FDA) Chief of Staff and FDA Associate Commissioner. He also served on the U.S. Senate Health, Education, Labor and Pensions (HELP) Committee as Staff Director, working under Senators Kennedy and Harkin. During his time on the HELP Committee, he was instrumental in the passage of key legislation, including FDA drug and food safety reforms and user fee legislation, the American Recovery and Reinvestment Act, and the Affordable Care Act. 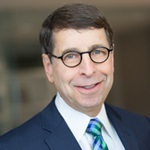 While at the FDA, he was a top advisor to the FDA Commissioner, a key leader among FDA’s over 14,000 employees, and FDA’s main liaison and advocate to Congress. Tom has also served as a health policy, management, and life sciences senior executive for Ernst & Young, McKinsey & Company, Avalere Health, and, most recently, the Boston Consulting Group. In these roles, he engaged with virtually every major component of U.S. healthcare, including agencies within the Department of Health and Human Services, state agencies, the pharmaceutical industry, health insurance companies, and many others. Tom earned a Bachelor of Science in Biology from the University of Michigan, a Master of Health Science in Health Finance and Management from Johns Hopkins University, and a Juris Doctor from Georgetown University Law Center. Tom will be joining the ASHP team later this month, and we are looking forward to introducing you to him at the ASHP Summer Meetings in Boston. Secondly, ASHP has also hired Doug Huynh, J.D., as our new federal lobbyist and primary legislative advocate on Capitol Hill. Doug comes to ASHP with extensive experience from the Society of Interventional Radiology, where he worked for 12 years as Director of Government and Policy Affairs. 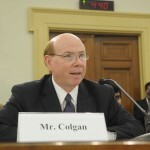 Doug also served as a lawyer and lobbyist in a number of other healthcare-related organizations. He has an in-depth understanding of the healthcare landscape and the issues that impact pharmacists, physicians, healthcare organizations, and other providers, as well as excellent relationships on Capitol Hill and a strong knowledge of the political process. Doug graduated from Virginia Commonwealth University with degrees in Communications and Political Science, and he earned his law degree from Quinnipiac University. Doug joined our team earlier this month, and we also look forward to introducing you to him at the ASHP Summer Meetings in Boston. We are confident that these important enhancements to our already strong Government Relations team will be of great value to ASHP members and their patients, and will help us further advance pharmacy practice by better educating policymakers and other important healthcare stakeholders. We look forward to sharing more about the many new things we will be doing through ASHP’s enhanced government relations and advocacy program. Thank you for being a member of ASHP, and for everything that you do for your patients.